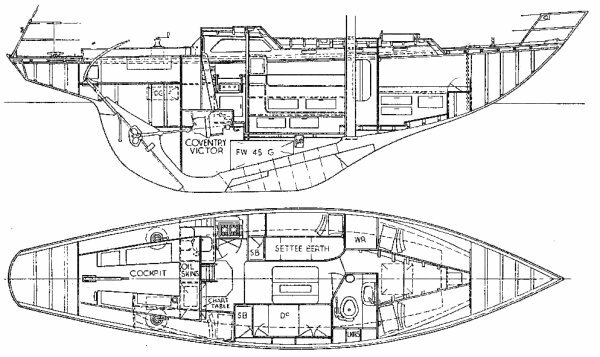 The first boat with a fiberglass hull, built by Camper & Nicholson. The structural integrity of the new material was, at the time, uncertain, so alloy frames were added. Designed by Peter Nicholson though strongly influenced by the very successful JOLINA 35, by Charles Nicholson.